Welcome to 2015, the year of Back to the Future II! And to start off the new year, The Pop Culture Lens podcast presents a new episode that takes us back in time to examine how a film made at the beginning of second wave feminism may still be relevant in this third wave feminism era that sees female celebrities distancing themselves from feminism and anti-feminism again on the rise as Men’s Right Activists increase in voice if not in number. 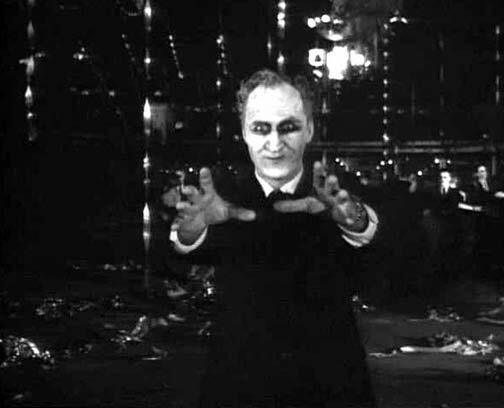 In this episode, we are joined by Patrick Ripoll, co-host of the podcast Director’s Club, to discuss the 1962 low-budget, cult horror film Carnival of Souls. The film shows the travails of Mary Henry (Candace Hilligoss) as she both flees from and is drawn to The Man (Herk Harvey) and his spooky carnival in the Utah desert. While it may never be known if director Herk Harvey was an early feminist (although we three kinda doubt it), we were all able to see feminist messages of equality, empowerment, and struggling with oppression in this film — so much so that while the film was made at the beginning of second wave feminism, we feel it could actually have something to say about the current (and contested) third wave feminism. More importantly, the representation of the theme “women as threat” in the film still has relevance to our world today (unfortunately), given the continuance of this theme in both our pop culture and public discourse.